In February 2018 it was announced that the Seychelles would become part of a pioneering new scheme, backed by high-profile environmental activists including Leonardo DiCaprio, which would see it create two new marine reserves in exchange for having a large amount of its national debt written off. The first protected area will cover 74,000 square kilometres – roughly twice the size of Scotland – around the Aldabra area while the second will centre on the densely populated island of Mahe and span 134,000 square kilometres. Combined, the new reserves will equal around 15% of the Seychelles' oceans and, while controlled fishing will still be allowed, harmful practices such as the use of fish aggregating devices will be banned. It is hoped that the new initiative will prove a lifeline for the Seychelles, whose economy relies solely on tourism and fishing, but whose marine life has suffered dramatically from the effects of coral bleaching and overfishing in recent years. The Aldabra reserve is also of particular importance thanks to the area’s huge array of marine life, which is frequently compared to the Galapagos, and plays host to endangered species such a dugongs and giant tortoises as well as spinner dolphins, tiger sharks, manta rays and humpback whales. The new reserves have been made possible by an agreement that will see $22 million dollars of national debt owed to the UK, France, Belgium and Italy bought at a discount by NGO The Nature Conservancy (TNC). TNC has also raised $5 million – including a $1 million donation from DiCaprio – to help pay off the debt as well as renegotiating the terms of the outstanding loan to give the Seychelles government a lower interest rate thus freeing up $12 million over the next 20 years to be invested in ocean conservation. If successful, it is hoped this type of debt swap could become a vital tool in the fight for healthy oceans with a number of island nations already showning interest in the scheme. TNC expects to agree the terms of a $60 million debt swap with Grenada during 2018 with Mauritius and a number of other Caribbean islands also lined up. In February 2018 it was announced that the Seychelles would become part of a pioneering new scheme, backed by high-profile environmental activists including Leonardo DiCaprio, which would see it create two new marine reserves in exchange for having a large amount of its national debt written off. The first protected area will cover 74,000 square kilometres – roughly twice the size of Scotland – around the Aldabra area while the second will centre on the densely populated island of Mahe and span 134,000 square kilometres. Combined, the new reserves will equal around 15% of the Seychelles' oceans and, while controlled fishing will still be allowed, harmful practices such as the use of fish aggregating devices will be banned. 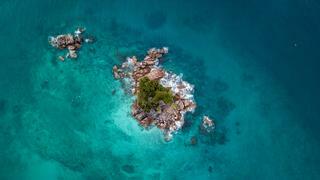 It is hoped that the new initiative will prove a lifeline for the Seychelles, whose economy relies solely on tourism and fishing, but whose marine life has suffered dramatically from the effects of coral bleaching and overfishing in recent years. The Aldabra reserve is also of particular importance thanks to the area’s huge array of marine life, which is frequently compared to the Galapagos, and plays host to endangered species such a dugongs and giant tortoises as well as spinner dolphins, tiger sharks, manta rays and humpback whales. The new reserves have been made possible by an agreement that will see $22 million dollars of national debt owed to the UK, France, Belgium and Italy bought at a discount by NGO The Nature Conservancy (TNC). TNC has also raised $5 million – including a $1 million donation from DiCaprio – to help pay off the debt as well as renegotiating the terms of the outstanding loan to give the Seychelles government a lower interest rate thus freeing up $12 million over the next 20 years to be invested in ocean conservation. If successful, it is hoped this type of debt swap could become a vital tool in the fight for healthy oceans with a number of island nations already showning interest in the scheme. TNC expects to agree the terms of a $60 million debt swap with Grenada during 2018 with Mauritius and a number of other Caribbean islands also lined up. 1.9 million square kilometres of the Pacific Ocean will now be protected by the Marae Moana marine sanctuary. The announcement, made in July 2017, came after almost five years of campaigning, chiefly lead by environmentalist and rugby player Kevin Iro. The size of the area means that it now surpasses Ross Sea in Antarctica as the largest marine park in the world. Iro, who’s wife is native to the Cook Islands, wanted to ensure that the oceans were protected for his children and future communities. “I saw what was happening to the lagoons and reefs and really wanted to protect them for my kids”, he said to news agency AFP. Pollution and overfishing had previously bleached corals and caused a dip in marine populations. The creation of Marae Moana is intended to allow the area to significantly replenish its marine life by ensuring that sustainable fishing is carried out in the reserve. There will also be designated no fishing zones up to 50 nautical miles from the coastline of each of the nation’s scattered islands. Though the Cook Islands are happy to welcome maritime tourism, they have also placed restrictions on anchoring and boat speed in certain areas to safeguard fragile coral reefs and sea turtles, which live in the surrounding waters. Various species of dolphins, whales and sharks will be just some of the inhabitants of the sanctuary that will now benefit from marine conservation. Any mining activities will only take place after discussions with both government and the public can conclude that a mining project would not have a significant impact on the suggested area. Both government officials and native tribal chieftains worked together to realise their dream of protecting the ocean, which holds a place of importance for the citizens of the Cook Islands. With just a fraction of their nation consisting of land, the ocean is their biggest and most valuable resource. "We not only recognise that the ocean brings us revenue in terms of fishery and tourism and potentially sea bed minerals,” said Iro. “It also provides us with clean air, clean water, and clean food to nourish and sustain us”. 1.9 million square kilometres of the Pacific Ocean will now be protected by the Marae Moana marine sanctuary. The announcement, made in July 2017, came after almost five years of campaigning, chiefly lead by environmentalist and rugby player Kevin Iro. The size of the area means that it now surpasses Ross Sea in Antarctica as the largest marine park in the world. Iro, who’s wife is native to the Cook Islands, wanted to ensure that the oceans were protected for his children and future communities. “I saw what was happening to the lagoons and reefs and really wanted to protect them for my kids”, he said to news agency AFP. Pollution and overfishing had previously bleached corals and caused a dip in marine populations. The creation of Marae Moana is intended to allow the area to significantly replenish its marine life by ensuring that sustainable fishing is carried out in the reserve. There will also be designated no fishing zones up to 50 nautical miles from the coastline of each of the nation’s scattered islands. Though the Cook Islands are happy to welcome maritime tourism, they have also placed restrictions on anchoring and boat speed in certain areas to safeguard fragile coral reefs and sea turtles, which live in the surrounding waters. Various species of dolphins, whales and sharks will be just some of the inhabitants of the sanctuary that will now benefit from marine conservation. Any mining activities will only take place after discussions with both government and the public can conclude that a mining project would not have a significant impact on the suggested area. Both government officials and native tribal chieftains worked together to realise their dream of protecting the ocean, which holds a place of importance for the citizens of the Cook Islands. With just a fraction of their nation consisting of land, the ocean is their biggest and most valuable resource. "We not only recognise that the ocean brings us revenue in terms of fishery and tourism and potentially sea bed minerals,” said Iro. “It also provides us with clean air, clean water, and clean food to nourish and sustain us”. The creation of several new land and marine reserves was announced on December 5, 2016 by the Mexican government — predominantly located on the Caribbean coast, Baja coast and deep ocean, they will cover more than 57,000 square kilometres and will be the country's largest natural protected areas. President Enrique Peña Nieto signed a decree for four new reserves and five protected areas to be preserved by the Mexican federal government, totalling 23% of the country's waters. The action means Mexico has exceeded the United Nations proposed plan of conserving at least 10% of coastal and marine areas by 2020 ahead of schedule. The Caribbean reserve is located on the east coast of the Yucatán peninsula and will cover vast amounts of the Quintana Roo coastline, as well as the municipalities of Benito Juarez, Puerto Morelos, Isla Mujeres, Cozumel, Bacalar, Tulum, Solidaridad and Othon P. Blanco. The Pacific Islands Biosphere Reserve is off the west coast of the Baja peninsula and the Pacific Biosphere Reserve is an area of deep sea off the Pacific coastline. Approximately 500 species of fish and 86 species of coral inhabit these areas and mining and fishing activities will but excluded from more strictly protected core zones. The announcement was made at the opening of the global biodiversity summit, COP13, which was held in Cancún. The new reserve areas bring the current protected areas in Mexico up to 300,000 square kilometres. These areas of Mexico are becoming more popular destinations visited by celebrities and Quintana Roo is home to one of the best resorts to celebrate Christmas 2016, the Grand Velas Riviera Maya. The creation of several new land and marine reserves was announced on December 5, 2016 by the Mexican government — predominantly located on the Caribbean coast, Baja coast and deep ocean, they will cover more than 57,000 square kilometres and will be the country's largest natural protected areas. 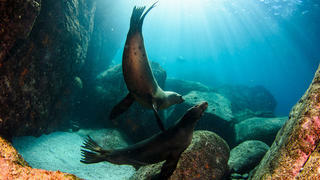 President Enrique Peña Nieto signed a decree for four new reserves and five protected areas to be preserved by the Mexican federal government, totalling 23% of the country's waters. The action means Mexico has exceeded the United Nations proposed plan of conserving at least 10% of coastal and marine areas by 2020 ahead of schedule. The Caribbean reserve is located on the east coast of the Yucatán peninsula and will cover vast amounts of the Quintana Roo coastline, as well as the municipalities of Benito Juarez, Puerto Morelos, Isla Mujeres, Cozumel, Bacalar, Tulum, Solidaridad and Othon P. Blanco. The Pacific Islands Biosphere Reserve is off the west coast of the Baja peninsula and the Pacific Biosphere Reserve is an area of deep sea off the Pacific coastline. Approximately 500 species of fish and 86 species of coral inhabit these areas and mining and fishing activities will but excluded from more strictly protected core zones. The announcement was made at the opening of the global biodiversity summit, COP13, which was held in Cancún. The new reserve areas bring the current protected areas in Mexico up to 300,000 square kilometres. These areas of Mexico are becoming more popular destinations visited by celebrities and Quintana Roo is home to one of the best resorts to celebrate Christmas 2016, the Grand Velas Riviera Maya. At the end of October 2016, 24 countries and the European Union came to an agreement to create a marine park covering more than 1.55 million square kilometres of the Ross Sea around Antarctica. The international agreement was reached at a meeting of the Commission for the Conservation of Antarctic Marine Living Resources (CCAMLR) in Australia. "This has been an incredibly complex negotiation," CCAMLR executive secretary Andrew Wright said. "A number of details regarding the MPA are yet to be finalised but the establishment of the protected zone is in no doubt and we are incredibly proud to have reached this point." The new MPA is significant, not only because it's the first marine park created in international waters, but also because scientists have estimated that the Southern Ocean provides approximately three quarters of the nutrients required to sustain marine life in the rest of the world's waters. "This decision represents an almost unprecedented level of international cooperation regarding a large marine ecosystem comprising important benthic and pelagic habitats," Wright said. "It has been well worth the wait because there is now agreement among all members that this is the right thing to do and they will all work towards the MPA's successful implementation." MPAs are put in place to preserve the ecosystem in that location as well as to protect culturally and historically significant sites. They also aid underwater habitats by rebuilding fish stocks, supporting ecosystem processes, sustaining biological diversity and monitoring change. An increasingly popular adventure destination, the newly agreed protection of the Ross Sea ecosystem is great news for anyone hoping to spend some time exploring Antarctica on a superyacht. At the end of October 2016, 24 countries and the European Union came to an agreement to create a marine park covering more than 1.55 million square kilometres of the Ross Sea around Antarctica. The international agreement was reached at a meeting of the Commission for the Conservation of Antarctic Marine Living Resources (CCAMLR) in Australia. 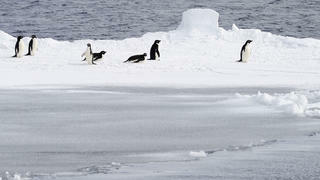 "This has been an incredibly complex negotiation," CCAMLR executive secretary Andrew Wright said. "A number of details regarding the MPA are yet to be finalised but the establishment of the protected zone is in no doubt and we are incredibly proud to have reached this point." The new MPA is significant, not only because it's the first marine park created in international waters, but also because scientists have estimated that the Southern Ocean provides approximately three quarters of the nutrients required to sustain marine life in the rest of the world's waters. "This decision represents an almost unprecedented level of international cooperation regarding a large marine ecosystem comprising important benthic and pelagic habitats," Wright said. "It has been well worth the wait because there is now agreement among all members that this is the right thing to do and they will all work towards the MPA's successful implementation." MPAs are put in place to preserve the ecosystem in that location as well as to protect culturally and historically significant sites. They also aid underwater habitats by rebuilding fish stocks, supporting ecosystem processes, sustaining biological diversity and monitoring change. An increasingly popular adventure destination, the newly agreed protection of the Ross Sea ecosystem is great news for anyone hoping to spend some time exploring Antarctica on a superyacht. The tiny Pacific archipelago of Palau has welcomed the offer of a new 40 metre patrol boat to help control illegal fishing in its California-sized marine reserve. Commercial fishing and oil drilling are banned in the 500,000 square kilometre area but the nation currently only has one long range patrol vessel to help support its work. President Tommy Remengesau has now announced that two Japanese non-government organisations — Nippon Foundation and the Sasakawa Peace Foundation — have agreed to step in. In a project, which is expected to cost more than $30 million, the two charities will supply the patrol boat as well as cover fuel and maintenance costs. Speaking after the reserve had been approved by congress last year President Remengesau said that the movement proved that a “small island nation can have a big impact on the ocean”. “Creating this sanctuary is a bold move that the people of Palau recognise as essential to our survival. 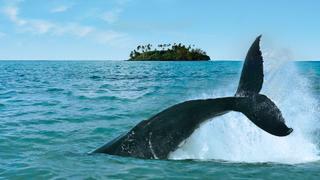 We want to lead the way in restoring the health of the ocean for future generations,” he added. 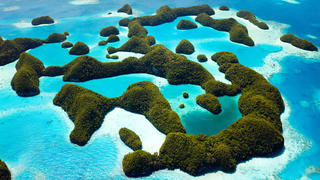 Palau has a strong history of marine conservation having created the world’s first shark sanctuary in 2009. One of the best nature reserves in the world, the archipelago is often cited as one of the “underwater wonders or the world” and it is hoped that Palau can continue to develop as an eco-tourism destination. The tiny Pacific archipelago of Palau has welcomed the offer of a new 40 metre patrol boat to help control illegal fishing in its California-sized marine reserve. Commercial fishing and oil drilling are banned in the 500,000 square kilometre area but the nation currently only has one long range patrol vessel to help support its work. President Tommy Remengesau has now announced that two Japanese non-government organisations — Nippon Foundation and the Sasakawa Peace Foundation — have agreed to step in. In a project, which is expected to cost more than $30 million, the two charities will supply the patrol boat as well as cover fuel and maintenance costs. Speaking after the reserve had been approved by congress last year President Remengesau said that the movement proved that a “small island nation can have a big impact on the ocean”. “Creating this sanctuary is a bold move that the people of Palau recognise as essential to our survival. We want to lead the way in restoring the health of the ocean for future generations,” he added. Palau has a strong history of marine conservation having created the world’s first shark sanctuary in 2009. One of the best nature reserves in the world, the archipelago is often cited as one of the “underwater wonders or the world” and it is hoped that Palau can continue to develop as an eco-tourism destination. 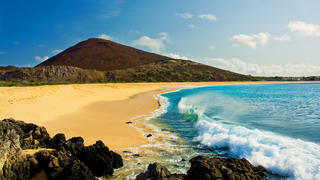 A new marine reserve nearly as large as the United Kingdom is to be created in the waters surrounding Ascension Island. The new reserve, which will be 234,291 square kilometres in size, is the result of negotiations between the Blue Marine Foundation, the Ascension Island Government and the UK Government. The Blue Marine Foundation has been campaigning to protect the area — which is home to some of the largest marlin in the world, a large population of green turtles, colonies of tropical seabirds and several endemic species of fish — since September 2014. Clare Brook, Blue Marine Foundation’s CEO said: “Everyone at the Blue Marine Foundation is hugely excited to have secured such a large and significant marine reserve in the middle of the tropical Atlantic. “Our work is of course only beginning. In the coming year we will ensure not only that the newly declared closed area is effectively monitored, and that the fishing zone is managed to best practice, but that the UK government recognises Ascension’s significance as a territory. We want to help Ascension benefit from its extraordinary marine life by encouraging more scientific expeditions and eco-tourism.” Fishing will be banned in more than 50% of the reserve and a £300,000 grant from the Louis Bacon Foundation will be used to police the waters. Commercial fishing will be allowed to the north of the island but it will be carefully monitored to ensure best practice is observed. A new marine reserve nearly as large as the United Kingdom is to be created in the waters surrounding Ascension Island. The new reserve, which will be 234,291 square kilometres in size, is the result of negotiations between the Blue Marine Foundation, the Ascension Island Government and the UK Government. The Blue Marine Foundation has been campaigning to protect the area — which is home to some of the largest marlin in the world, a large population of green turtles, colonies of tropical seabirds and several endemic species of fish — since September 2014. Clare Brook, Blue Marine Foundation’s CEO said: “Everyone at the Blue Marine Foundation is hugely excited to have secured such a large and significant marine reserve in the middle of the tropical Atlantic. Fishing will be banned in more than 50% of the reserve and a £300,000 grant from the Louis Bacon Foundation will be used to police the waters. Commercial fishing will be allowed to the north of the island but it will be carefully monitored to ensure best practice is observed. In September 2015 Prime Minister John Key announced plans for the new Kermadec Ocean Sanctuary. 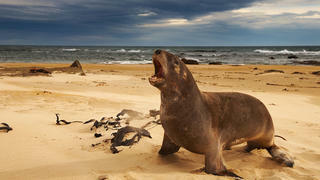 Fishing and mining, which are considered to be big threats to the world’s oceans, will be banned in the reserve. “The Kermadec Ocean Sanctuary will be one of the world’s largest and most significant fully-protected areas, preserving important habitats for seabirds, whales and dolphins, endangered marine turtles and thousands of species of fish and other marine life,” Key said. The sanctuary is planned to be twice the size of New Zealand’s landmass and 50 times the size of the country’s largest national park in Fiordland. “As well as being home to a wide range of marine species, the Kermadec region is one of the most geographically and geologically diverse areas in the world," Key said. "It contains the world’s longest underwater volcanic arc and the second deepest ocean trench at 10 kilometres deep.” The 620,000 square kilometre reserve will be one of the world's largest fully protected areas and will ensure that 15% of New Zealand's ocean ecosystems will be preserved. The Kermadec area is home to more than 39 species of sea birds, 150 species of fish, 35 types of whales and dolphins, a huge array of corals and crustaceans, as well as three endangered species of sea turtles. The announcement of the Kermadec Ocean Sanctuary plans was one of the best ocean conservation stories of 2015. In September 2015 Prime Minister John Key announced plans for the new Kermadec Ocean Sanctuary. Fishing and mining, which are considered to be big threats to the world’s oceans, will be banned in the reserve. “The Kermadec Ocean Sanctuary will be one of the world’s largest and most significant fully-protected areas, preserving important habitats for seabirds, whales and dolphins, endangered marine turtles and thousands of species of fish and other marine life,” Key said. The sanctuary is planned to be twice the size of New Zealand’s landmass and 50 times the size of the country’s largest national park in Fiordland. The 620,000 square kilometre reserve will be one of the world's largest fully protected areas and will ensure that 15% of New Zealand's ocean ecosystems will be preserved. The Kermadec area is home to more than 39 species of sea birds, 150 species of fish, 35 types of whales and dolphins, a huge array of corals and crustaceans, as well as three endangered species of sea turtles. The announcement of the Kermadec Ocean Sanctuary plans was one of the best ocean conservation stories of 2015.